As Fashion Week descends upon us in a few days, it is once again time for me to share with you “Ones to Watch” for this upcoming season. 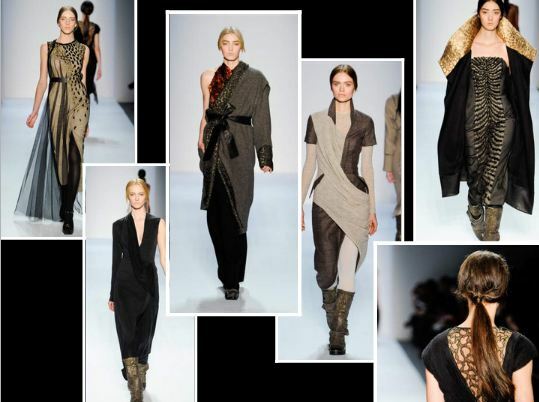 My motto is to always look to the future of fashion which makes this post one of the most important of Fashion Week. These individuals are people whom I believe will make waves and possess the ability to influence and dictate fashion in the future. 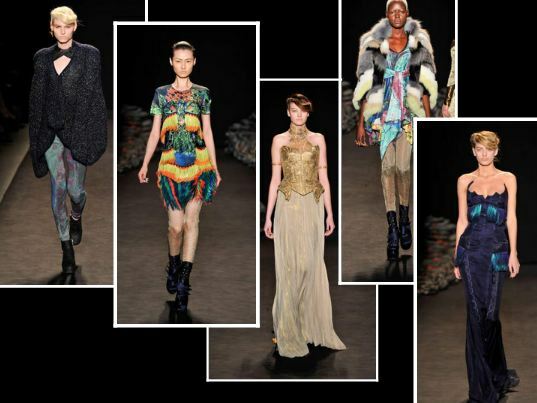 With that said, I have my eyes on 4 young and talented designers – Jen Kao, Christian Cota, Duro Olowu, and Sally Lapointe. Each designer has had a few seasons under their belt and each have shown signs of continuing maturation and development of their unique aesthetic, narratives, and design abilities. Jen Kao has been on the rise for a few seasons. Her collections always boast out of the box designs with high energy and a variety of elements. Together it makes her collections very interesting and engaging to watch. This past season she included fur and expanded her range of knitwear, both are great signs for a brand that is growing.On top of which, she was one of the few chosen to be part of a Vogue online initiative partnered with thecorner.com in which Vogue editors of the US, Italian, and Chinese editions pitched together 14 promising designers and presented them on thecorner.com to increase their awareness and visibility. 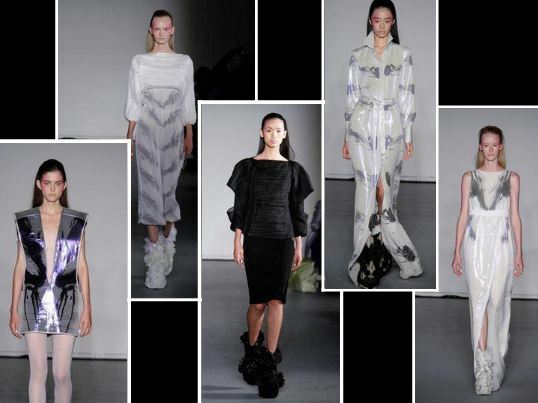 Jen Kao will be showing her latest Spring/Summer 2012 collection on Sunday 9/11 at 5pm. Contact Patrick Bradbury at Bradbury Lewis PR for fashion show details. Christian Cota is known for working off of specific inspirations and infuses his art into his designs. Last season he was one of the nominees for the annual Vogue/CFDA Fashion Fund and it is clear as to why he was chosen. His strong and feminine designs make sense to the modern female customer and once again the designer attempted growth by adding fur (for the first time) and experimenting with knitwear and outerwear for his Fall collection and both turned out to be spectacular. His Fall collection saw that he can take a specific inspiration – utilitarian mountaineer and high altitude tribal outerwear – and transform it to befit chic urban living – which is a promising quality many young designers should possess. Duro Olowu, an England native, decided to show his collection in NYc for the first time this past Fall season, and for good reason. New York presents one of the biggest pools of top-notch editors and buyers of both department stores and reputable destination boutiques. Besides that obvious advantage, Olowu’s clothes just stand out among NY’s more edgy styles. As the designer himself proclaimed, “My clothes are about joy”, making a stark contrast to either NY’s feminine high society style or edgy downtown industrial vibe. Duro Olowu’s bright colors, along with the fun and light-hearted mis-matched prints bring a bright energy and quirkiness which will make his Spring presentation one of the “ones to watch” of the season. 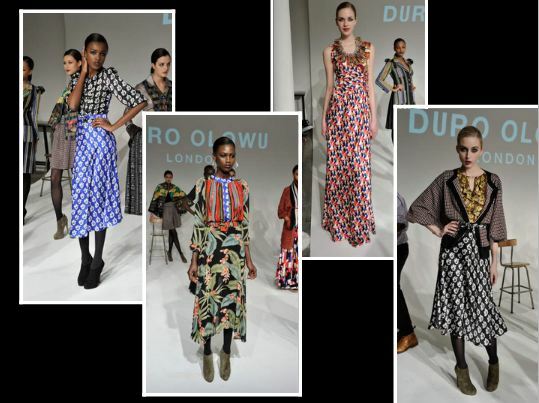 Duro Olowu will be presenting his Spring 2012 collection at Milk Studios NY on Saturday September 10th, 2011 from 7pm-8pm. Contact Meguire Steele PR in NYC to request RSVP to the presentation. The 4th and final “Ones to Watch” is Sally Lapointe, who has only shown two collections thus far but is surely one to focus your energy on. The talented young designer has the ability to produce avante-garde looks that also feature a fine mix of feminine elegance. Fashion forward materials and exaggerated silhouettes are Lapointe’s signature so far and her freshman and sophmore collections have drawn some of the biggest editors and buyers to check out what she is sending down the runway. If Thomas Tait is London’s next big thing, then Sally Lapointe would be the rightful American counterpart as an up-and-coming modern avante-garde designer. Sally Lapointe is showing her Spring 2012 collection at an undisclosed location. Contact brynne@maopr.com for specifics.